As a kid my family looked forward to the day of picking wild strawberries. There was always a small two week perioud every early summer to get. We would have our buckets and climb the big hill and find the fields of heaven. Id eat more than hit my bucket. 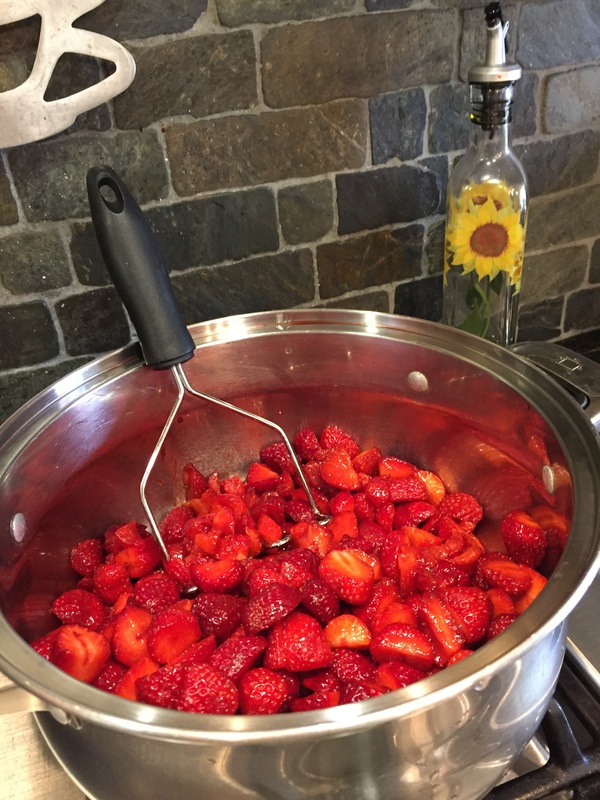 Mom would pull out the old blue icecream maker and the rock salt snd make fresk custard icecream for those tiny sweet berries. 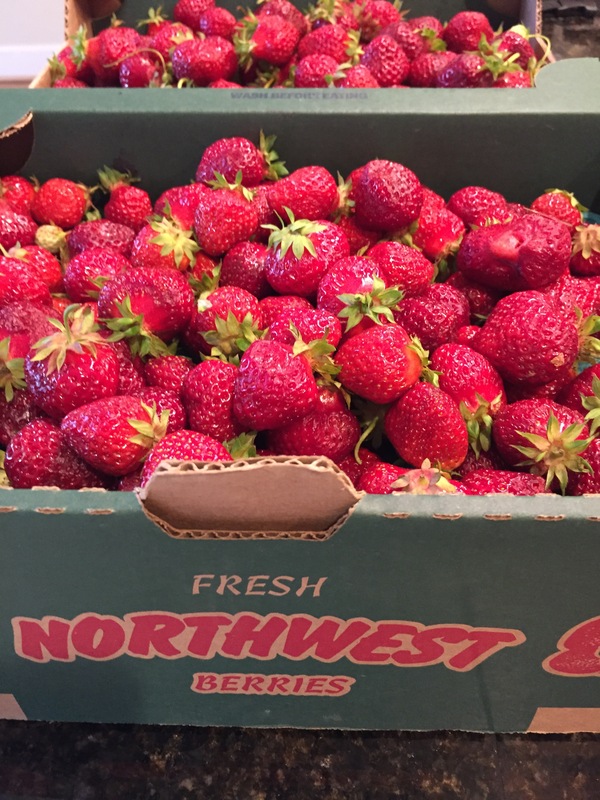 Oregon berries have that flavor and size and small picking season. So I jam as much as I can to savor all winter. Slow cook All fruit Jam(low sugar) just eyeblling it recipe. Mash berries with potato masher and slow simmer for 1.3 hours. You can see when you hit a jam consistency stirring frequently. 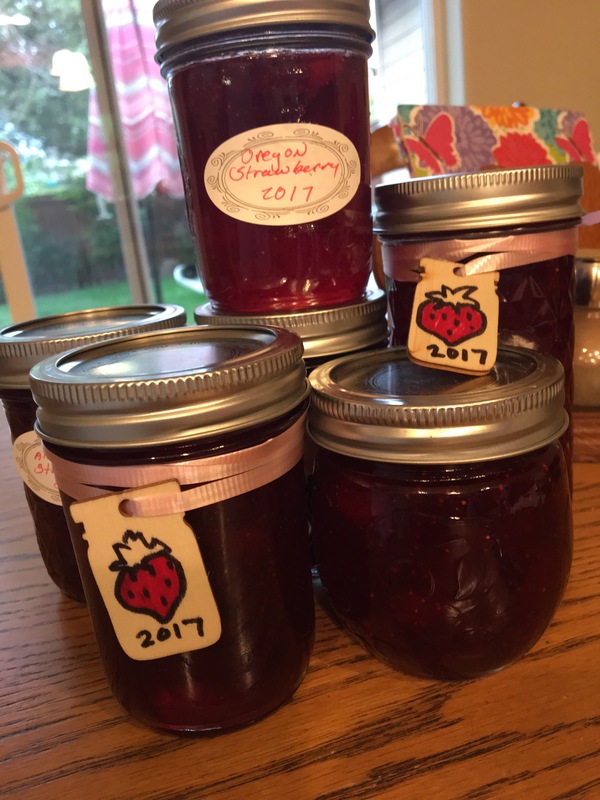 Yields 3-4 jars. Put in warm clean jars and lid. I always have this cooking as I prep for the big pectin batches. Follow Pectin jam recipe in box for jam. Previous postBlack skillet London Broil (aka Top Round) they come back for more … good! Next postCaprese Crustini -summer must – easy , fast, classic, yum!